Corks Creak Sporting Breaks recently launched a web site to advertise their expertise in putting together the perfect sporting break or holiday in the UK countryside. 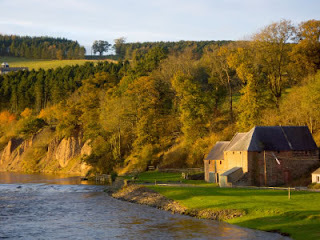 With their geographical and sporting experience plus a growing network of contacts for hospitality / accommodation, fishing proprietors, shooting agents, qualified guides, ghillies, loaders and coaches, they will specialise in breaks and holidays with a maximum WOW factor – scenery and environment to allow the soul to breathe and the brain to relax. "I started fishing at the age of four, fly fishing by the time I was twenty something. Fly tyer from several years after I started 'chucking fluff'. I have a long and varied past in field sports arenas. "I started to arrange holidays for folk as a matter of courtesy about five years ago simply because I had the contact base to do so, and I am that sort of bloke really."